Affordable housing projects, a high demand occupancy type, may be delivered by both non profit and for profit development companies. In many instances public/private joint ventures are formed to deliver such projects on public owned sites. 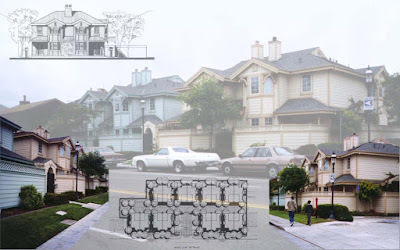 Combined local, state and federal subsidies, grants, tax incentives, financing, etc., assist in creating very attractive low, medium and high density housing projects of very good quality and design. Working closely with the Habitat for Humanity development team, DIAP was able to design the Mission Street residential complex with more units than initially expected, while still creating a comfortable living situation within each of the 3 bedroom / 2 bath units. This residential complex is an "affordable housing" enclave that was softly integrated into the neighborhood fabric. Children, pedestrians and landscaping dominate the secure internal open space, which is also sparingly used by the residents' cars slowly getting to their garages. 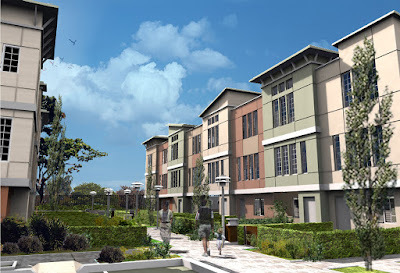 This entry level mixed use housing and retail complex takes advantage of a beautiful location along a canal of the Sacramento–San Joaquin River Delta. 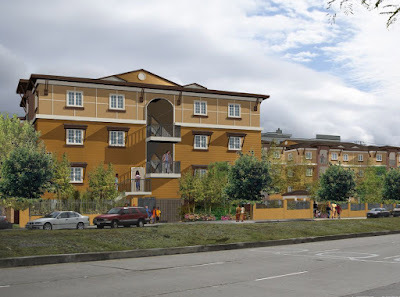 Single family homes, townhouses, flats, work live units and convenience retail help create a new neighborhood.